If you are in the lodging sector of the hospitality industry and are looking to build an accommodation reservation website, you know that modern travelers owning a variety of gizmos want the booking process to be quick, easy and safe. So, in this post, we’ll be looking at how you can build a fully functional website that can handle all processes of your business: online bookings, rates and seasonal pricing, inventory management, taxes, and fees, etc. Let’s first help you gain a better understanding of what it takes to build an ultimate WordPress hotel/property rental website. Domain name – if you did not get one, check out our quick yet to-the-point guide on domain names. Hosting – if you haven’t made up your mind, take a look at our latest comparison of the best WordPress hosting providers. Free WordPress software for self-hosted websites. A theme – it can be any WordPress theme or lodging business related one – a hotel, a vacation rental, a real estate, etc. You’re spoiled for choice. 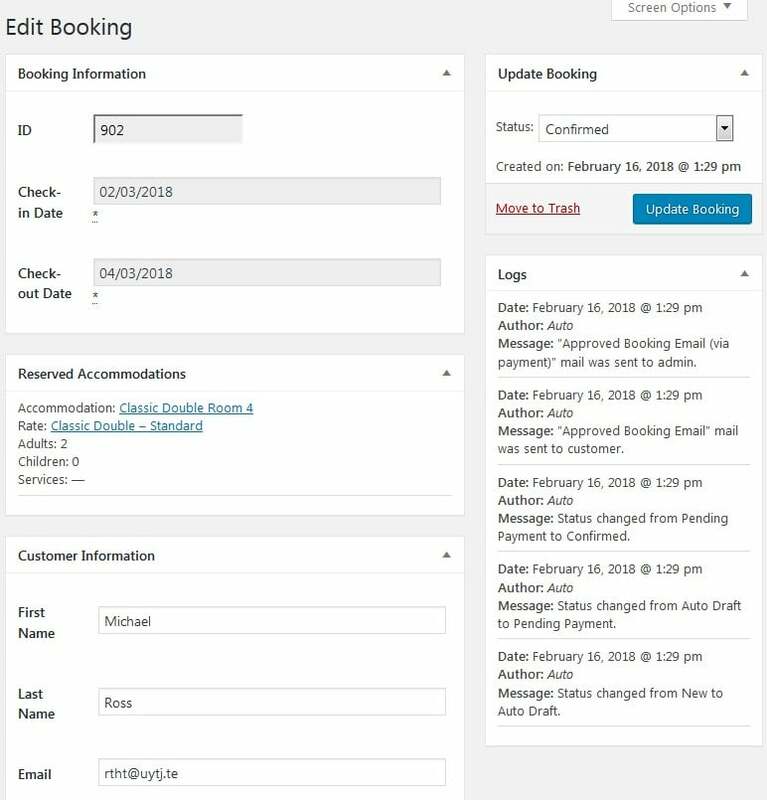 A plugin – the WordPress booking system. 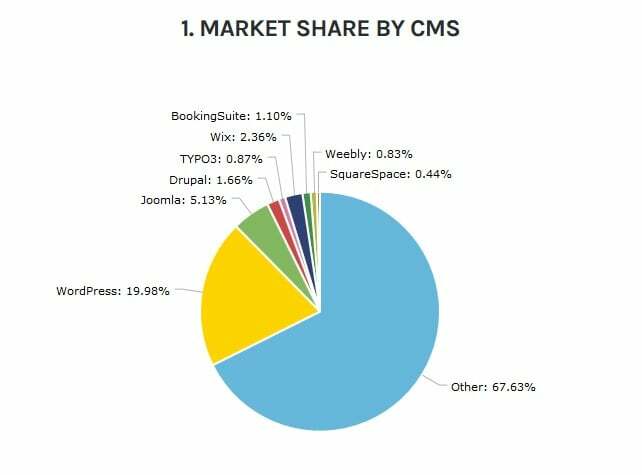 While the first four things are responsible primarily for storing your data (hosting and domain), website modifications (WordPress CMS) and visual presentation (theme) of the website, the most fundamental thing is the WordPress booking plugin. Why? For the most part, it deals with all critical points of your real-life business: accommodation types, rates, pricing, online payments, inventory and bookings management, “house rules” policy, etc. So, we’ll give attention to the booking software. On the WordPress market, there are just a few solutions that measure up. We’ve worked with several widely recognized choices while creating hotel themes, and concluded that the MotoPress Hotel Booking system is one of the most suitable solutions. This is a robust and continually being improved solution used by many hoteliers and hotel theme developers. It includes almost all features you need to set up a rental property website and manage online reservations. The plugin correctly deals with multiple scenarios of rental property needs, ranging from a hotel with multiple rooms to single/multiple accommodations like guest houses or vacation rentals, bed & breakfast enterprises, villas, inns and more. 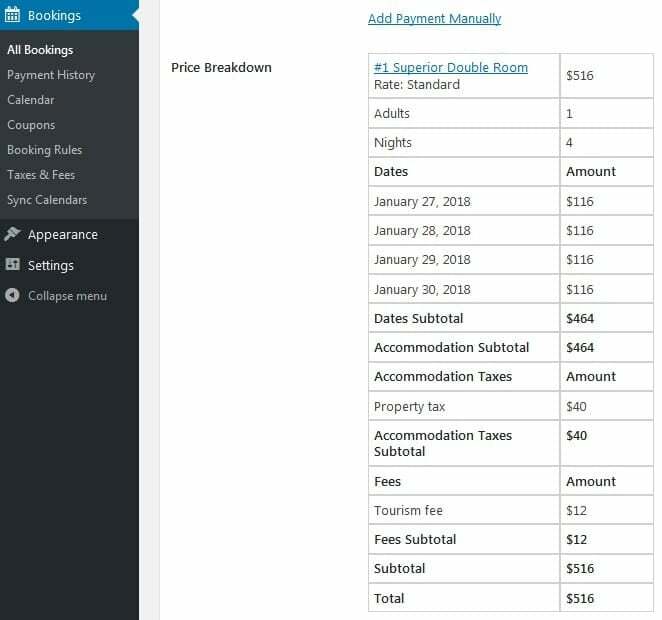 Let’s go through the main features of the MotoPress Hotel Booking plugin to help you realize whether it can be an efficient way to build a website for your particular rental establishment. But if you’ve already chosen any other booking solution, the following points will also come in handy as a comparison checklist. 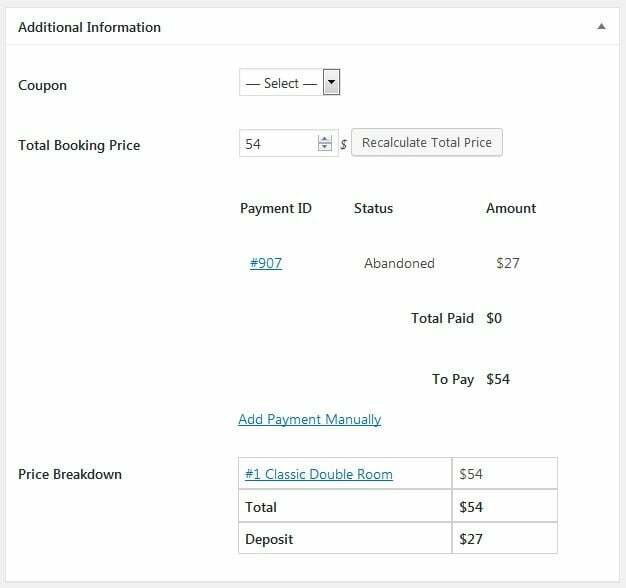 The MotoPress Hotel Booking plugin lets you run a system that can handle multiple properties. As we know, many third-party booking systems charge more when you add more rentals. 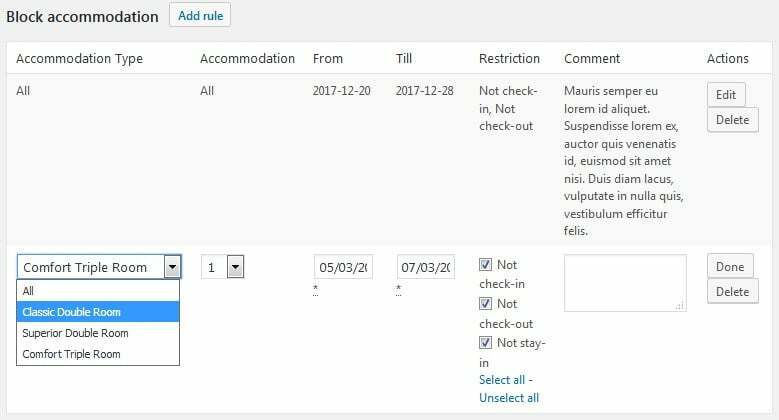 But this WordPress plugin doesn’t limit you – you may create unlimited accommodation types and still pay the same plugin price. Delightful, cost-effective alternative. 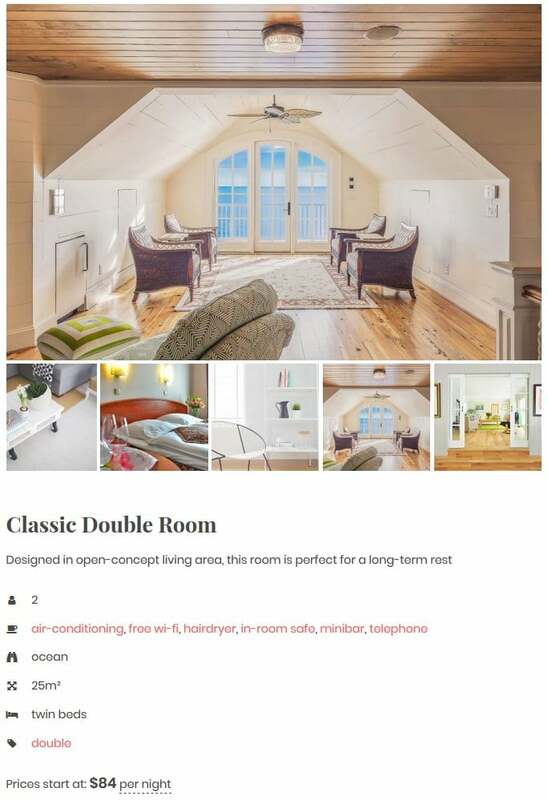 To provide maximum details about your property, you can add its description, a photo gallery, list amenities, and services, specify a view and bed types, max occupancy, property size and more. 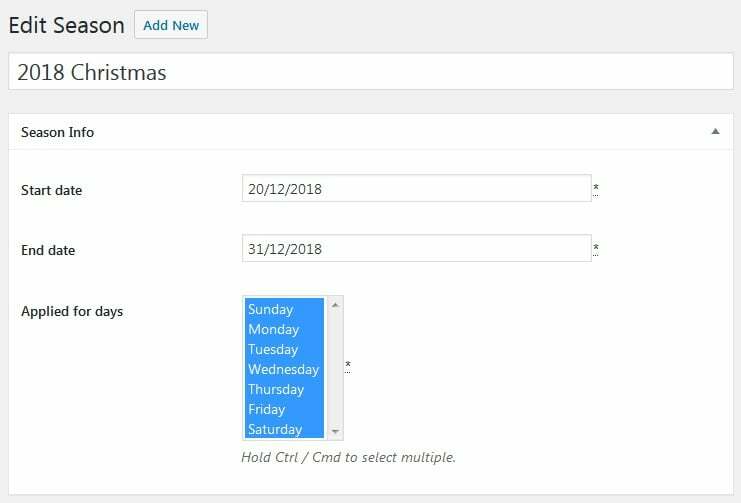 You can add unlimited variables for rates based on any needed term (season): special periods (Christmas, wedding), weekends, daily or weekly rates, etc. You’ll be able to apply any number of rates to any accommodation type. This is also a way to set different prices for your rentals based on the accommodation benefits offered or the time of the year. Before adding the rates, you’ll need to add the seasons and set their start/end dates. You can create bookable packages and services that guests can add to their reservations along with the accommodation. You can set the service price, how often the charge must be made and whether it’s an adult or accommodation fee. 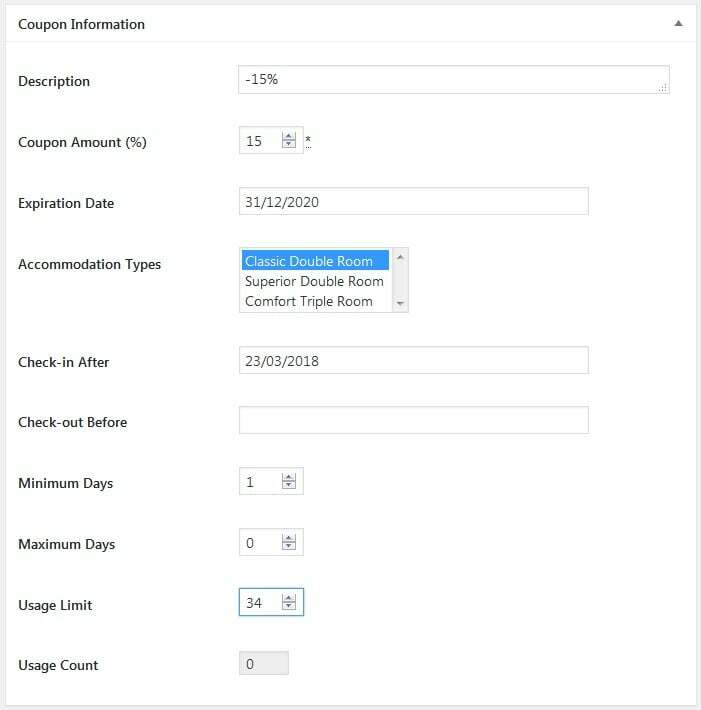 For example, you can integrate a breakfast cost into the room rate by adding “King suite with breakfast” rate so that the travelers can opt for it. If you want to give your guests a choice, you may also add breakfast as a service, so that they can book it for one day only instead of paying every day. With such a great balance of manual/automatic inventory control, you’ll easily avoid overbooking keeping your reputation at the highest level. The security of online payments concern is one of the primary reasons why property owners opt for renting out their accommodations via OTAs. However, these concerns don’t have a solid ground because, with the variety of internationally recognized and secure payment gateways on the market, it’s easy to implement any on your WordPress website. 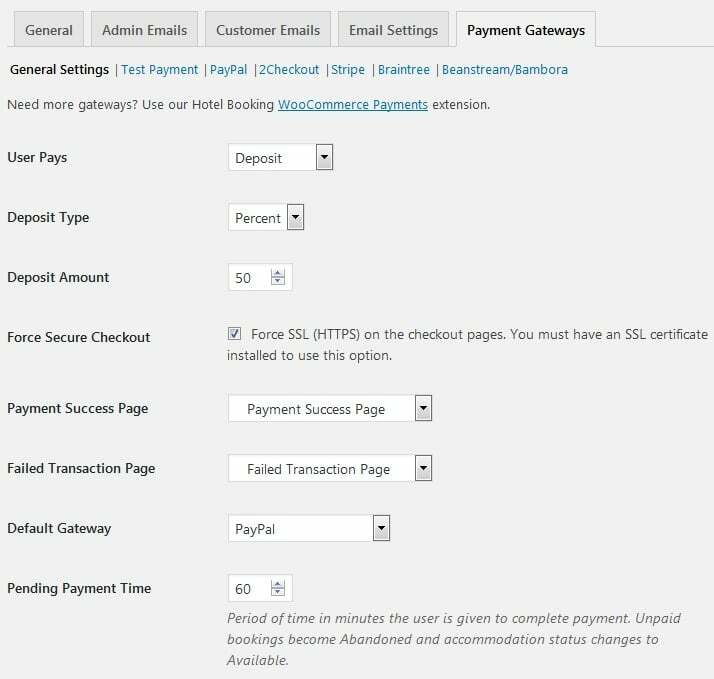 Using MotoPress Hotel Booking plugin, you can safely use such built-in payment gateways as PayPal, 2Checkout, Braintree, Stripe, Beanstream/Bambora or any other with the help of WooCommerce Payments addon. As there can be only several local payments gateways suitable for your area, WooCommerce Payments add-on will help you integrate almost any. Additionally, you can set a full or deposit amount to pay, select a deposit type, deposit amount, a default payment gateway, a pending payment time, enable SSL for secure payments and more options. You got it right; it’s entirely doable to turn your brand website into a secure booking platform, not paying any commissions to the middleman. 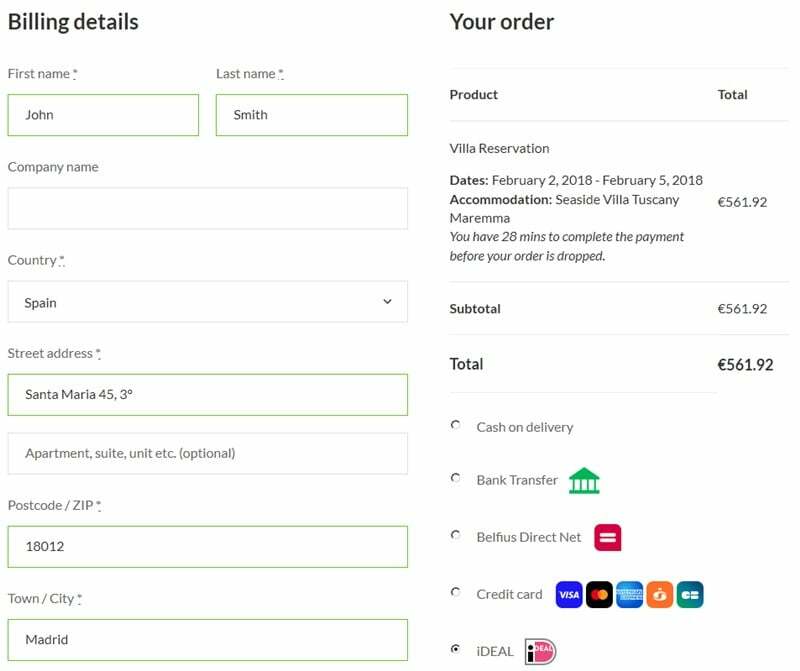 The plugin will allow you to confirm a reservation: you can manually confirm it, ask the customer to confirm it via email or enable automatic confirmations upon a payment. Let’s say that you just want to list all your properties and let customers leave a simple booking request without a payment. 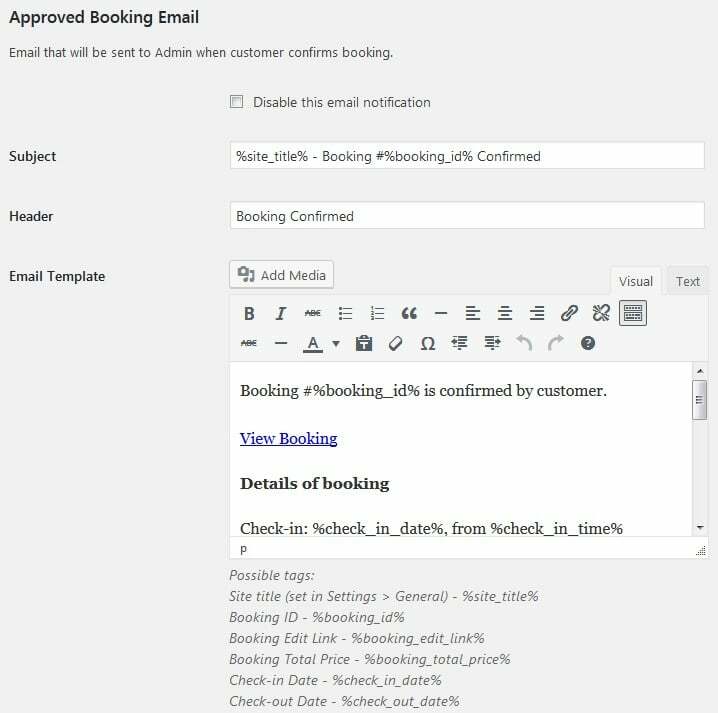 In this case, you can enable the “Confirmation by email” mode and control all reservations either personally (manual control) or let customers confirm them by email (automatically). The system will send confirmation and cancellation notifications for a hotelier and a customer. If you want to provide your guests with a tremendous post-booking experience, you can customize your email notifications to fit your brand. There are different email templates offered for all occasions, and you can change emails content as well as design. 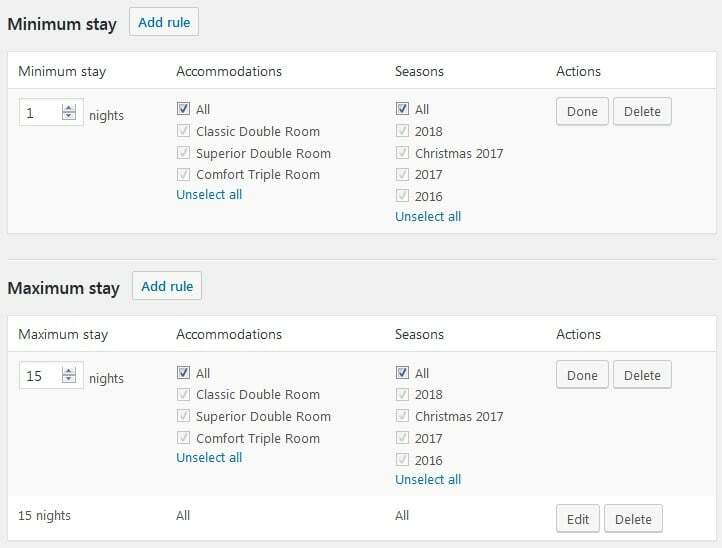 You can apply custom booking rules to all or individual accommodations and even seasons: set check-in and check-out days for chosen accommodations, set a minimum length of stay period, etc. Taxes and fees info: you can add mandatory fees, accommodation taxes, service taxes, and fee taxes; the customer will see all of them in the summary of charges, and you’ll have the same data on the dashboard. You are free to optionally link up your renting property website to external OTAs – the system of the MotoPress Hotel Booking plugin will let you cross-sync all of them with your website. That is, your website will be sending direct bookings data to OTAs, and they will also exchange their bookings info with your website system via iCalendar. All you need to make it work is to copy/paste the import/export calendars across platforms for all accommodations. The synchronization is automatic, but remember that the OTA where you rent out your property must support iCal file format. OTAs and their popularity among travelers should not hold you from creating a brand website and implementing direct website bookings. Your own WordPress property rental website will give you independence and flexibility to win over more and more prospects over time. Even if OTAs change their policies (increase commissions, for example) or your government changes the policy of interaction with OTAs (antitrust law), you still play by your own rules. Travelers love vouchers, especially your loyal clientele will be happy about discounts. The WordPress reservation plugin by MotoPress allows you to create custom discount coupons and either provide the travellers with them or use discounts in promo campaigns. 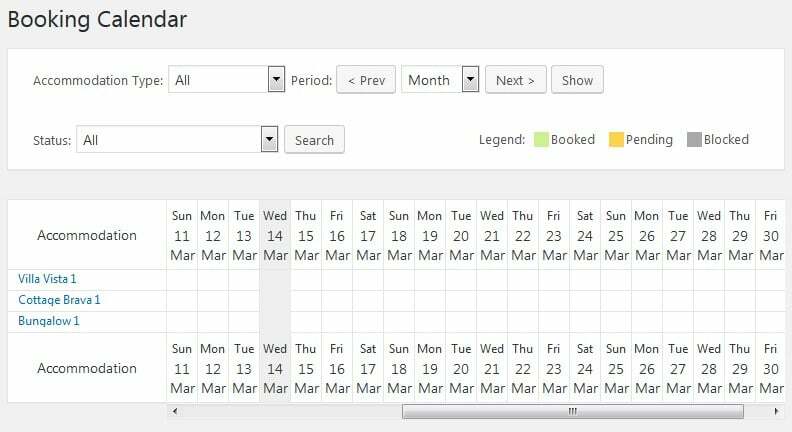 The search availability calendar is brilliant: it takes stock of all your custom booking rules, guest’ search parameters and all minimum and maximum stay periods to display the most suitable properties. The system also allows you to optionally enable “Recommended properties,” which will first display the search results based on some guests. Moreover, one guest can book multiple accommodations within one reservation. You’ll just need to set max adults and children number in the “Search options” menu. 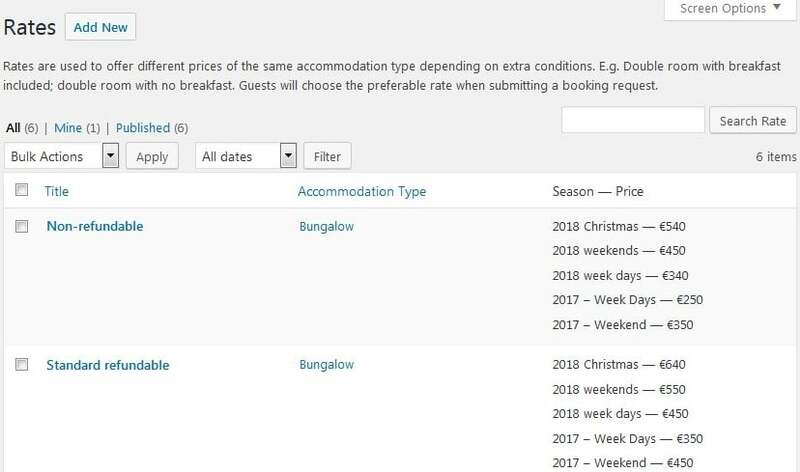 As for a price displayed for the accommodations (if check-in and check-out dates are not set), you can set the system to display the lowest price within a certain amount of days. You can even choose the most suitable color scheme for the calendar that will be a good fit for your website design. If your hospitality business website is not aimed at an English-speaking audience, you can switch the plugin to one of the already translated professional versions (Portuguese, Polish, Russian, Spanish, Turkish, Swedish, Italian, Hungarian, Czech, Chinese, Dutch, French, Arabic and German). Or, you can translate it into your language with any WordPress localization plugin. Moreover, the plugin is officially compatible with WPML – one of the most popular WordPress multilingual plugins. Today, so many travelers book rooms from their cell phones and tablets on the fly. MotoPress Hotel booking will provide a tailored mobile experience thanks to fully responsive design to make a search and reservation process a breeze for your guests. 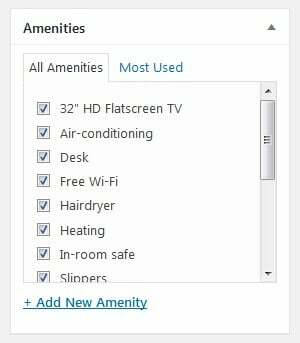 There are already several themes fully integrated with the MotoPress Hotel Booking plugin. Opting for a theme is twice beneficial: first, you save money because you don’t need to purchase a theme and a plugin separately; secondly, you don’t need to tweak the design to achieve a perfect theme look. 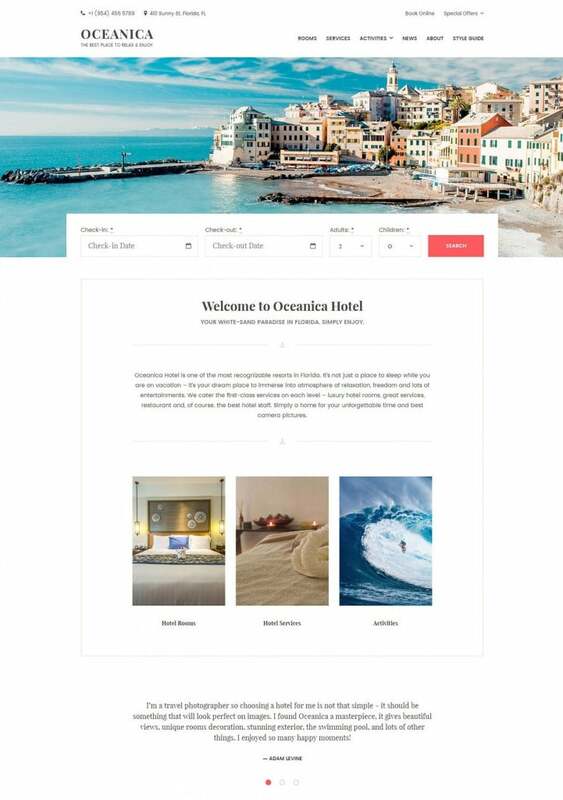 Oceanica Hotel WordPress theme – the theme doesn’t use heavy styles and comes with on-balance layouts. It will ensure a happy user experience and straightforward website navigation, which is crucial for making bookings online. It’s elegant, lightweight and powerful thanks to the booking engine. 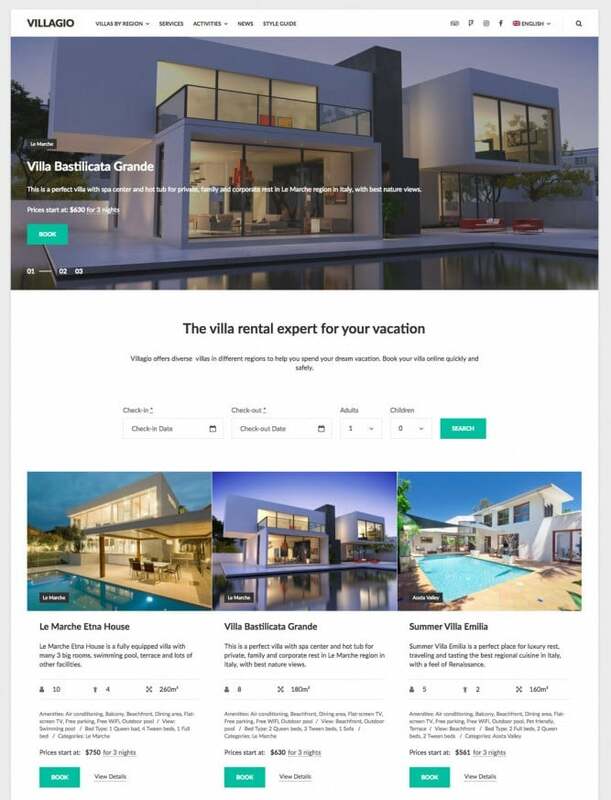 Villagio Vacation Rental WordPress theme – Villagio is focused on multiple rentals which you can rent out in different locations. It comes with tons of features of a fully functional booking plugin, integrated multilingual support via WPML, and more. Hopefully, this post allayed your fears a bit that building a rental property website with WordPress is something undoable. You regularly have to make inroads in providing better booking services and a better pre-arrival experience to your guests. With the MotoPress Hotel Booking plugin, you can do that with a great, fully functional dashboard to manage your properties on different levels. You can also handle secure online bookings, optionally synchronize your direct website reservations with online travel agents, keep track on all legal info, and more. All this is accompanied by a high level of automation and a user-friendly admin interface. Remember, the first meeting with your property happens online – make the journey of your guests happy before they walk into your lodging.